Our wine tours are an Exclusive & Entertaining Experience! 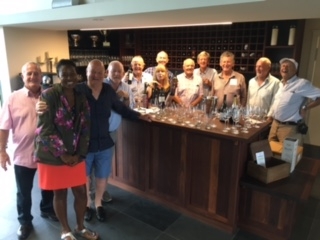 Whether you wish to visit The Barossa Valley, McLaren Vale, Clare Valley or The Coonawarra we will show you the "BEST ON OFFER"
We provide exclusive wine tours of one of the worlds finest wine areas. When you visit Adelaide in South Australia we will provide you with exceptional service and personalised attention. You will not find a better way to experience some of the finest wineries in the country. Will you discover the best wine regions in Australia as a "Tourist" or as an "Expert"? Life is a Cabernet will provide the experience that many try to achieve and emulate. Whether there is just you, you & your partner or groups of 3, 4, 5 ,6, 12 or 24 I have the ideal vehicle for your day out. Our new generation Mercedes Vianos, Chrysler Grand Voyagers, Chrysler 300C's, Mercedes Sprinter & Mitsubishi Rosas will leave you in no doubt that you are travelling in the most comfortable vehicles available regardless of size. When you arrive in Adelaide one of the first things that you notice are the broad spawling boulevards. Plenty of room for cars but when you have been wine tasting all day not a great place to be if you are driving back from a wine region. That is where we come in. At "Life is a Cabernet" our team of Specialist Drivers return you to your hotel in the safest possible manner. In fact your entire day will be spent enjoying your chosen wine region without wasting time negotiating a map or trying to find the winery you always wanted to visit. 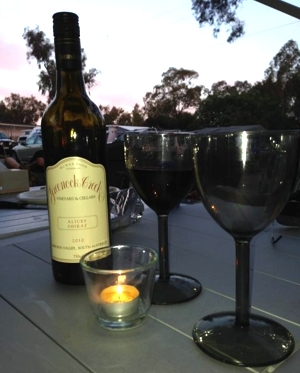 There is only one sensible way to visit South Australia's Premium Wine regions - Life is a Cabernet. Journalists from publications all around the world have written to their readers letting them know how enjoyable our wine experience will be. Bon Appetit in the USA, Der Feinschmecker in Germany, Cleo in Australia, The Spectator in the UK and various other publications around the world have told the story. Now you can find out for yourself firsthand. You can either get in touch with us directly via the net, At the Travel Desk at Adelaide Airport or when you arrive at your hotel in Adelaide just ask the Concierge or Front Desk. Our tours take in the best regions South Australia has to offer. Your driver is a ''personality in his own right" with a passion for great wine and having fun. - Off to the Barossa Valley via Gorge Road through the Adelaide Hills, via the Kangaroo Creek Dam, Morning Tea - somewhere fun in the Barossa . - Suggested Afternoon Wineries- Langmeil, Tscharke, Elderton, Greenock Creek, Two Hands or Torbreck. - Depart Barossa Valley approx 5pm. Trip home via the New Northern Expressway for a direct & safe trip to your hotel. - Traditional morning tea in Tanunda and have a walk of this quaint Main Street. The McLaren Vale wine region lies to the immediate south of the Adelaide suburbs and is an attractive region that produces many varieties of wines but is best known for Shiraz, Cabernet Sauvignon, Grenache, European style reds, Chardonnay, Vermentino & Fiano. What makes McLaren Vale different to the Barossa Valley is its proximity to the sea. Along with the excellent food on offer this region is a must for first time vistors to South Australia. 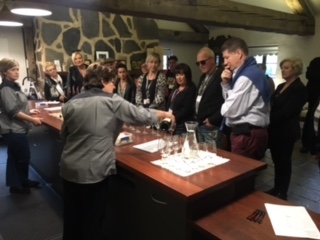 - Off to McLaren Vale via the Beautiful Adelaide Hill with possible stops at Udder Delights Cheese works for morning tea & Beerenberg Jams in Hahndorf for an interesting look at a great success story. - Morning wineries can include Killikanoon, Mitchells & Jim Barry. - Afternoon wineries include Pikes, Mintaro, Reilly's and Paulettes.